In my recent work, The Life of a Kashmiri Woman (New York: Palgrave Macmillan, 2014), I documented the voices of women as a way of countering the traditional narrative. Women in Kashmir, bolstered by Sheikh Mohammad Abdullah’s politics, played an important role in establishing a more inclusive democracy and new forums for citizen cooperation in the 1930s and 1940s. Female leaders led the way by offering new ideas, building broad-based political coalitions, and working to bridge organizational divides. 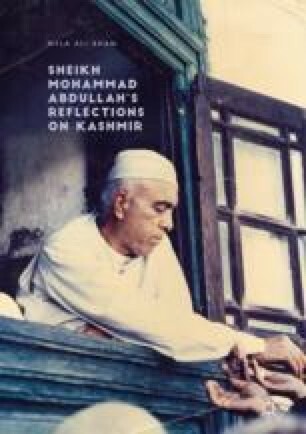 Sheikh Mohammad Abdullah’s Reflections on Kashmir seeks to continue that kind of grassroots work.